My new feet came and then they went !! I received my new prosthetic feet last week, they were lovely and looked amazing, it wasn’t until I started wearing them for a while when I realised that the left foot was not flexible enough and that it hurt when I walked. So they went back to the limb centre and they have sent them back to the people who make them Dorset Orthapedics. The link above takes you to a nice story about a man who had a 3d hand created for him by Drew who has been to Fact to help with our project. Drew is becoming an expert and the go to person in the UK for 3d hands. Im looking forward to seeing everyone at Fact today, it’s the day where we will get together with the guys from does to discuss how we would want our 3d hands to be in the future. Another attachment would be so I could hold a kayak paddle. 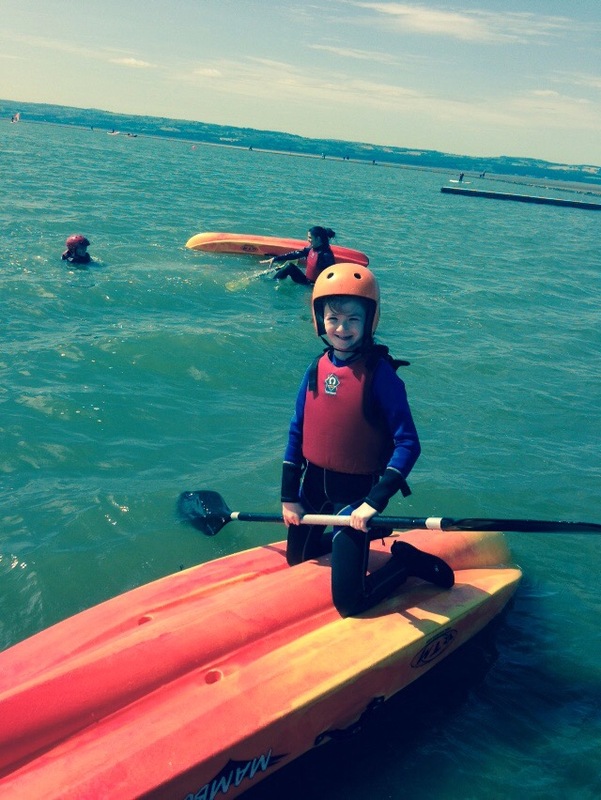 As part of my year 6 leavers week I went kayaking which was great but it was hard to hold the paddle with my little hand. We even got to ride the kayaks upside down! im having real trouble with my right foot at the moment and it is getting too big for my prosthetic. We are waiting for the new ones to be delivered but the hospital say that they are now taking longer than normal because otto bock who make them are doing more private work. It’s been Nearly a year now since my last feet arrived and it seems to be an annual event of having pain and waiting. I hope they come soon as it’s my year 6 leavers party next week and I want to wear nice shoes!